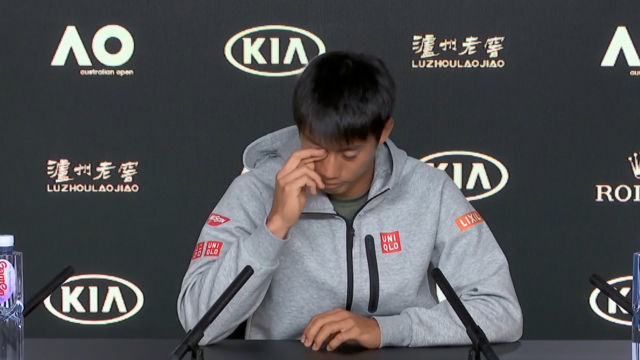 John McEnroe has given a damning verdict on Kei Nishikori's injury retirement against Novak Djokovic, saying the Japanese star brought his exhaustion upon himself and was also a known quitter. 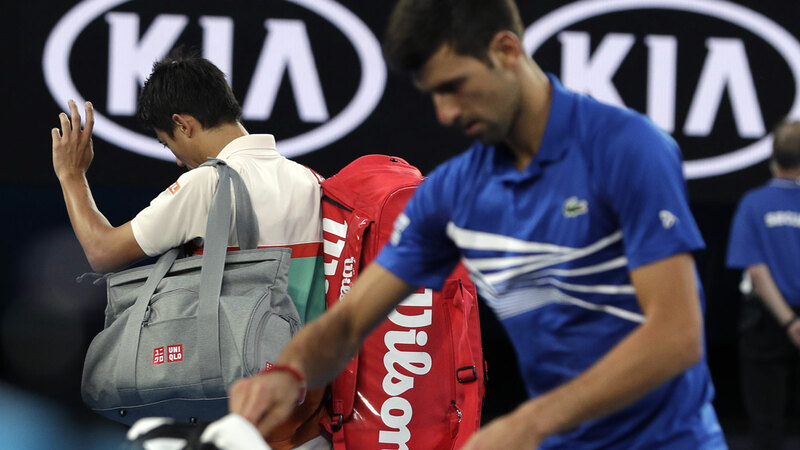 Nishikori, who has now retired from 18 ATP Tour matches, cut a listless figure as he dropped to 6-1 4-1 down against Djokovic before exiting their Australian Open quarter-final with leg problems on Wednesday night. Nishikori, the eighth seed, lasted just 52 minutes on court after racking up 14 hours on court in his previous four matches. McEnroe said Djokovic would have known early that his opponent was a lame duck. "Novak knew that Nishikori has played three five-setters. The guy looked absolutely spent in the warm-up. That's when you know, you're going to have a big smile on your face," McEnroe said on Channel Nine's TODAY Show. "It's sort of like the over/under - is he even going to finish the match? You could tell in the first game he was hurting bad. "It's too bad, but it just shows you in an individual sport, if you have to waste that much energy ... and some of this was Kei's fault. "He should have put away Karlovic in three sets, he could have won his first-round match against a qualifier more easily but he didn't, and it ended up catching up to him." Nishikori went four-and-a-half sets with qualifier Kamil Majchrzak in Round 1 before the world No.176 retired, then took nearly four hours to beat big-serving veteran Ivo Karlovic in Round 2. He went five sets again in his controversial fourth-round clash against Pablo Carreno Busta, which took five hours and five minutes. 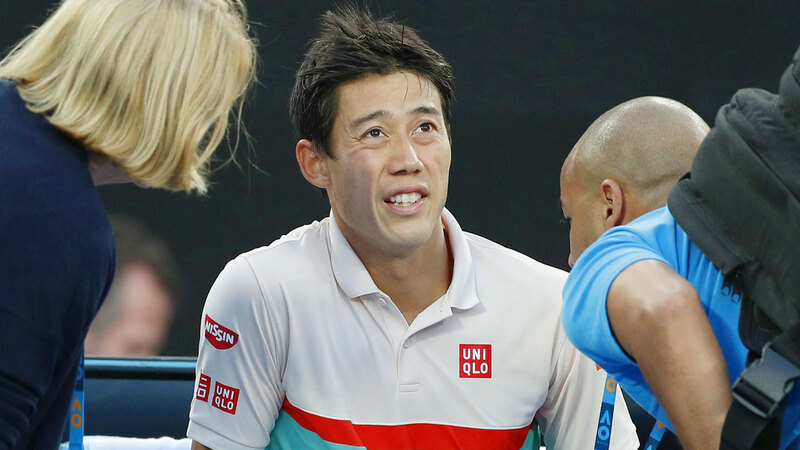 While it was an enormous workload, it resulted in Nishikori's 18th retirement at the elite level of men's tennis. McEnroe said that the Japanese star was known for being mentally weak, and that he had hired former Australian Open finalist Michael Chang as his coach to toughen him up. "That's not in his (Chang's) DNA, so he's trying to get that more into Kei's. But Kei ... some guys and girls have higher thresholds of pain than others and they can go out there and compete at a higher level for longer. But he's not one of them." McEnroe said that Djokovic would have been thrilled with his easy night, having come through a tough fourth-round match of more than three hours against Daniil Medvedev. "You're darn right - his match against Medvedev was physical," McEnroe said. Djokovic will face French 28th seed Lucas Pouille in the semi-finals on Friday.